Application Form for the institute level seat available in BE course is filled online through the college website. Candidates have to fill the application form with proper information. Once the application form is filled then the candidates need to prepare for the scanned document required to submit along with the application form. The candidate has to give INR 1500 along with the application form. Mark sheet of SSC (X) examination and Mark sheet of HSC (XII) examination. MHT-CET 2019 Scorecard. Leaving certificate of the institution last attended after qualifying Exam. Migration Certificate if the qualifying examination is not from Maharashtra. Caste certificate (if applicable for eligibility criteria). Certificate in pro-forma A as per Govt. of Maharashtra, State Common Entrance Test Cell brochure applicable to Type C candidate. 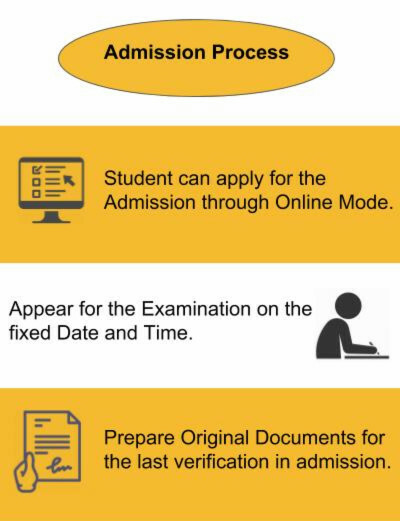 The candidates applying for the MCA with entrance exam have to register themselves through DTE website. Those candidates who are already registered in MAH-MCA-CET need not pay fees. The candidate has to fill the online application form. Then scan the necessary document and upload with application form without any charges at the nearest facilitation center. SSC (standard X) mark sheet and HSC/Diploma Mark Sheet. Mark Sheet/ Score Card of the entrance test. Certificate of the Indian nations of the candidate. Those candidates applying for the BE has to register for the counseling process through DTE Maharashtra website. The candidates seeking admission for degree course in Engineering will be given on the basis of merit and counseling. The student can see the Merit list Schedule of Admission Process in Notice Board and College Website. Those candidates who have verified and confirmed document at Facilitation Center and having CAP merit number shall be eligible for the admission for all types of seats. Candidates are required to appear for the PET (Ph.D. Entrance Test) conducted by the University of Mumbai in order to be eligible for selection. Those candidates who are qualified in the NET/ GATE 2019 /JRF or other equivalent examination, he/she is exempted from appearing in the test. Eligible candidates shall be given provisional Admission only after undergoing a centralized interview by the panel at the College. Eligibility criteria for admissions to be carried at Institute Level seats and for seats vacant after the CAP rounds will be as per rule published in the Govt. of Maharashtra, State Common Entrance Test Cell Notification. Candidates have to register their name for CAP Admission and their name should be in the merit list of CAP Examination. Only the applications of candidates who submit the printed copy of the application form along with the requisite documents & processing fees will be considered for further Sardar Patel Institute of Technology, Mumbai admission process. The candidates must be Indian National and should have passed in Intermediate Examination under Maharashtra State Board of Secondary and Higher Secondary Education or its equivalent examination with subject Physics, Mathematics and Chemistry / Biotechnology / Biology / Technical Vocational subject. The candidates must have an at least 50% marks in subjects of Physics, Mathematics and Chemistry / Biotechnology / Biology / Technical Vocational subject added together in the Intermediate Examination. The candidates applying for the MCA course should have graduated a minimum three years in bachelor's degree. Such candidates must have at least 50% marks in the bachelor's degree as a minimum eligibility. Candidates should also have studied Mathematics as one of the subjects at (10+2). Also the candidates should possess valid MHA-MCA-CET 2019 scores. ST/SC category students are provided a relaxation of 5% in the eligibility of Qualifying Exam. The minimum eligibility for the student to get admission in the P.HD course is that students must have 55% marks in their Master's degree. And those students who passed M.Phil degree course with at least 55% marks are also eligible. Those candidates who passed the masters Degree partly by paper and partially by Research with 55% marks and obtained clearing grade in thesis (Wherever awarded) will be eligible as well. For the SC/ST Background student, there is a 5% marks relaxation in the required qualifying marks. The qualifying exams to get admitted to Sardar Patel Institute of Technology, [SPIT] Mumbai were MH-CET and AIEEE at my time. 10+2) or Equivalent with Physics, Mathematics, Chemistry/Biotechnology, Language and anyother subject. He/She should have scored a minimum of 45% marks. All reserved category students have a 5% relaxation in minimum aggregate. The admission procedure is as per guidelines from the Directorate of Technical Education. 80% Central Admission Process is effected by the State Government and 20% Institute level admission is effected by the Institute. For every academic year the schedule for CAP admission is decided by D.T.E.. Institute level admissions for Engineering are conducted tentatively in the month of July, on the basis of guidelines from D.T.E. issued for that academic year. Details and schedule regarding institute level quota seats will be displayed on the college web site from time to time. The difference in fee is payable by students after final Fee is sanctioned by Shikshan Shulka Samiti for the year 2015-16. Note: As per Shikshan Shulka Samiti’s directives, fess payable by students admitted from 2015-16 and thereafter continuing their studies will pay an enhanced fee of 8% till the completion of the course(during the stipulated period of the course). For more admission related information please visit the office of Directorate of Technical Education, 3, Mahapalika Marg, Dhobi Talao, Post Box no. 1967, Mumbai – 400 101.